There are so many options for material choices to side your home or building. How do you chose? What is the best product that will live the longest and be within my budget? It is a tough question. What are you wanting to achieve? What is the purpose of the building? Are you looking for something to define and express your lifestyle and your bank account? If the result you are looking for is durability, we suggest stone siding. It not only provides a more "natural" appearance than many other options. It is also a larger investment to begin with. However, the long term care requirements are much, much lower. Stone siding is very long-lasting and if attended to on occasion, can endure for a very long time. If you're able to get over the initial sticker shock, stone or brick siding is among the finest, most exceptional, long lasting, and lovely siding options accessible. * Won’t rot, or fade with exposure to the elements. * Is not susceptible to fire or storm damage. * Because of durability, it may result in lower home insurance premiums. * Incredibly long lasting (more than fiber cement, wood, vinyl, steel). * Stone siding is natural, it is incredibly unique. Real and manufactured stone siding are offered by our company. If you choose limestone or granite - they are available by the ton. This offers a substantial savings on your purchase - if stone is within your budget. One ton of limestone will cover 30 to 40 square feet. Stone siding is made from a stone that's planed smooth on one side and cut to about two or three inches of depth, together with the width changing for an all-natural appearance. If you would like genuine stone, this is actually the option for you. 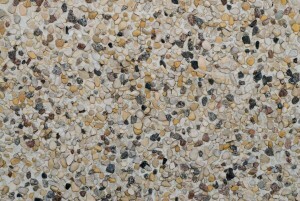 Otherwise, a more inexpensive option is to use stone that is manufactured to look like the real thing. No matter which you choose, we are ready to build your Dreams.